Wormman's Sow Bug Supper is great for Sow Bugs, Pill Bugs, Woodlice and Isopods. Just a sprinkle every few days is all you'll need, so the 8 ounces of Sow Bug Supper will last a long time. If you want your Isopods to grow quickly and breed like rabbits, then you need to get this Isopod food. 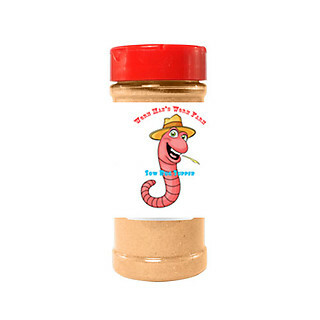 One 8 Ounce Container of Sow Bug Supper 11.95 Free Shipping!